This Adult Spanish Dancer Costume will give you an amazing cultural experience. Journey to Andalusia and immerse yourself in the passionate art of Flamenco dancing! 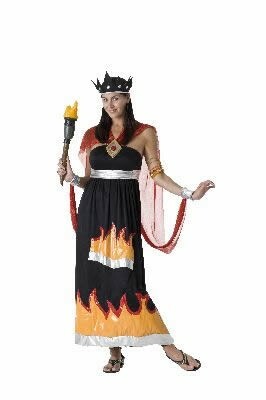 The costume’s authentic design will really make you feel the power of this fiery art form. Perfect for Halloween or any other occasion. Availability : The Adult Spanish Dancer Costume ships in approximately 2-3 business days. Exchanges for size only. No returns on this item.